I will admit, I haven’t seen a single movie nominated for an Oscar tonight. Heck, I don’t even know all the actors that will walk the red carpet. I am always a little out of the loop involving pop culture with no cable and lack of a sitter for going to the movies on a regular basis. At least I have Netfix. I see things eventually. 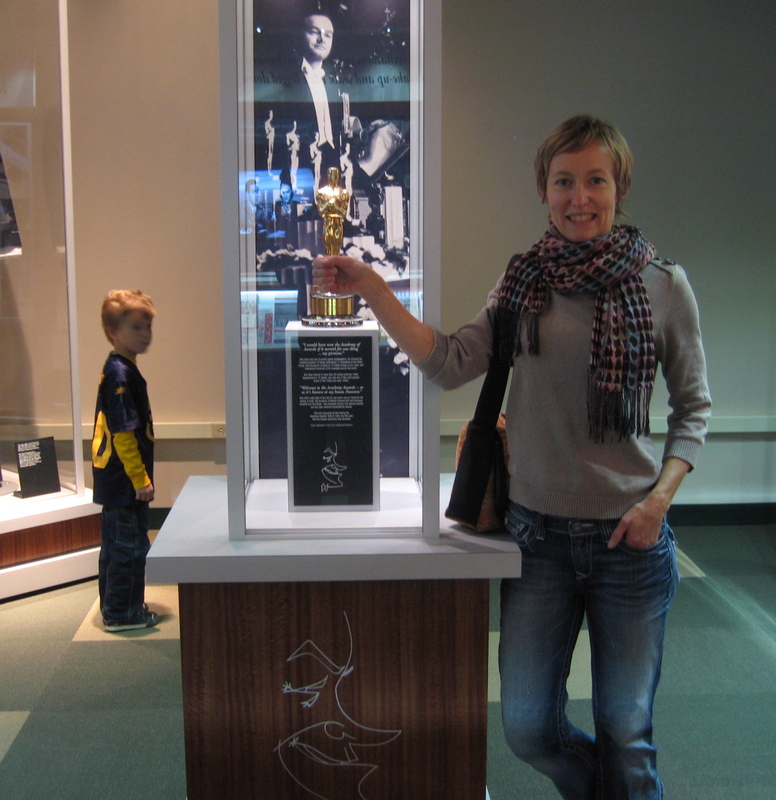 No matter, I LOVE the Oscars! The dresses, the montages, and the memorable acceptance speeches….I will never forget Roberto Benigni’s! Last year I was with my best girlfriends in a northwoods cabin with the BIGGEST snack buffet, gold sequins, white wine and these cookies. We had so much fun watching it all and gorging ourselves from beginning to end. It didn’t work out for us to do it this year, but I will do my best to watch it without too many interruptions from small children here at home. Oooo, it’s almost showtime! Will you be watching? Let me know your favorites! 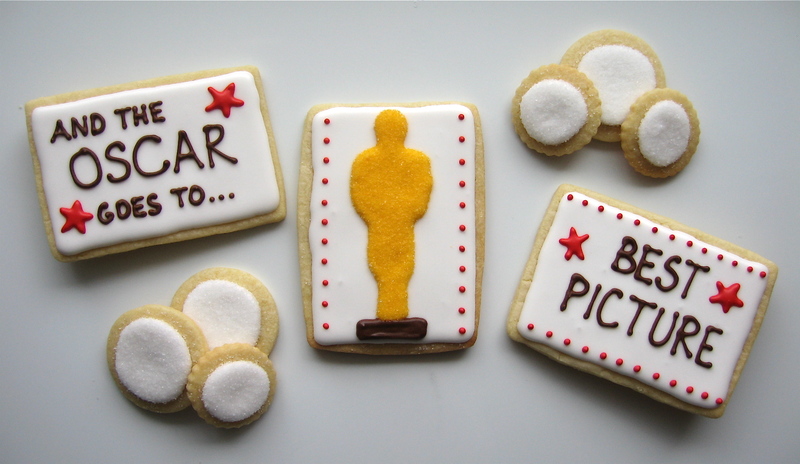 This entry was posted in For Fun Cookies and tagged oscar cookies. Bookmark the permalink. ← Spring Fever. Sort of.